Want a warranty that puts you and your needs first? The Volkswagen ‘People First’ warranty does just that! We want our drivers to be well protected – long after they’ve driven off the lot with their Volkswagen vehicle. Our warranty encompasses America’s best bumper-to-bumper limited warranty on a large percentage of our 2018 and 2019 VW vehicles. This means a New Vehicle Limited Warranty is 6 years/72,000 Miles (whichever comes first) which blows all other car company vehicle warranties out of the water! The best part is that this warranty is transferable – which means that if you sell your vehicle in the warranty years or mileage, the warranty transfers over at no cost to you! The warranty covers repairs if they are to correct a defect in the manufacturer’s material or workmanship. That means there is no cost if it’s to be found that the mechanical issue was an issue with the vehicle build. Powertrain components and electrical issues within the cabin of the vehicle are all covered under this particular warranty. 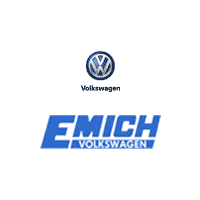 Here at Emich Volkswagen in Denver, Colorado we wholeheartedly stand by our People First Warranty. We offer a large inventory of Volkswagen vehicles that you can browse and know that you will be protected with an amazing vehicle warranty. So, stop in today to learn more about our fantastic warranty and select your favorite VW from our super selection!